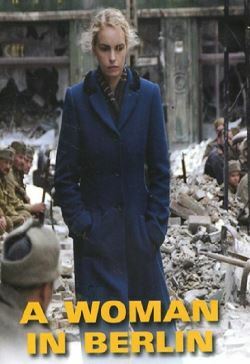 A nameless woman keeps a diary as the Russians invade Berlin in the spring of 1945. She is in her early 30s, a patriotic journalist with international credentials; her husband, Gerd, a writer, is an officer at the Russian front. She speaks Russian and, for a day or two after the invasion, keeps herself safe, but then the rapes begin. She resolves to control her fate and invites the attentions of a Russian major, Andreij Rybkin. He becomes her protector of sorts subject to pressures from his own fellow soldiers and officers. Dramas play out in the block of flats where she lives. Is she an amoral traitor? She asks, "How do we go on living?" And what of Gerd and her diary?